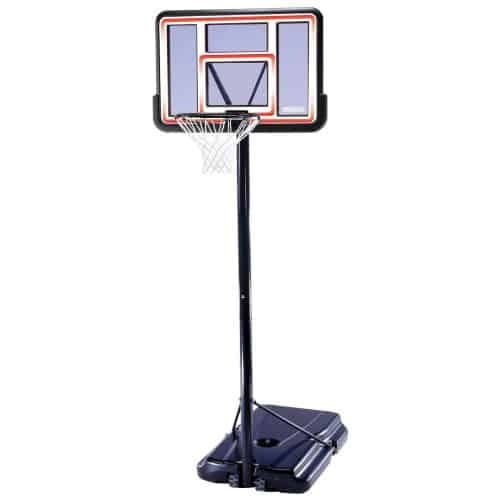 A good basketball hoop for your home or gymnasium can make a big impact on the players who use it to play a friendly pick –up game, or those who use it to tweak their free-throw and three point skills. Here at Best Basketball Hoops, we look to review great hoops at all price ranges so that you can find the best match for your needs. Today we are reviewing the Lifetime 1533 44 inch portable backboard system. 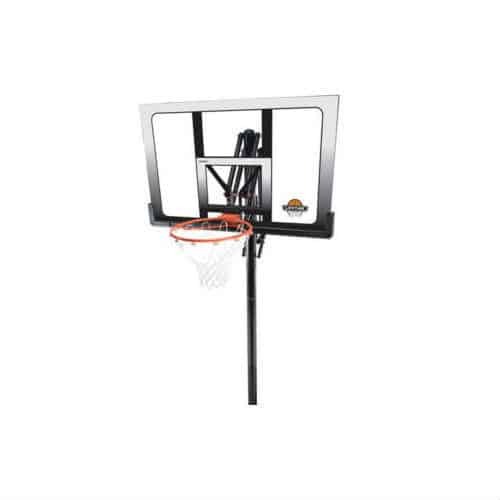 This Lifetime hoop comes in at our lowest price point, so at under $300 dollars, this would make a great starter hoop for those just getting into the game, as well as a solid choice for those not wanting to spend big bucks to fulfill their hoop dreams. The main features of the Lifetime 1533 offer a good product for your driveway. 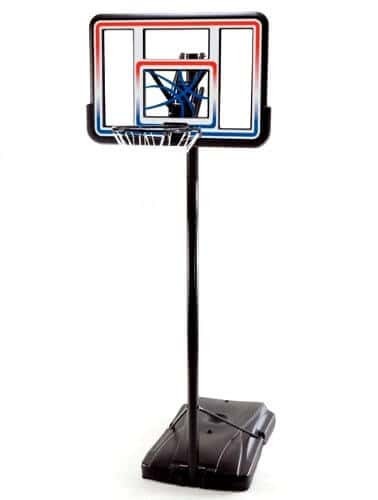 The backboard of this hoop measures 44 inches, and is constructed of high-quality acrylic with a polyethylene frame; the backboard also features some great red and blue colored graphics, making you feel the flair of a pro hoop as you drop in your lay-ups. The graphics are fade resistant, so your hoop will still look great after a summer of sitting out in the sunshine. The base on the Lifetime 1533 is a 31 gallon tank with rollers that can be filled with water or sand to give you a sturdy and strong base. Reviewers have found the wheeled system to be easy to use and move around as needed, so this hoop can move from your driveway into your garage or backyard without too much hassle. 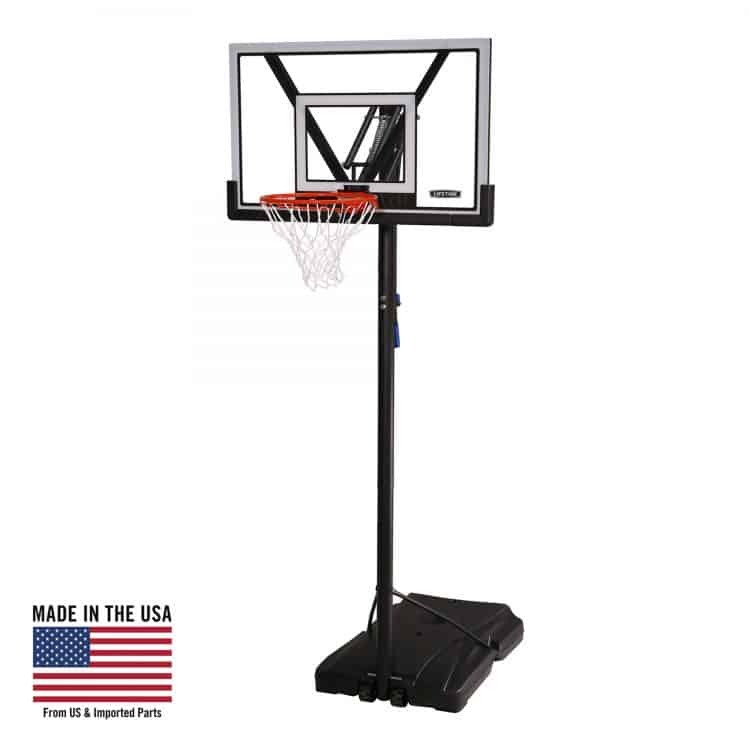 The Lifetime 1533 Portable Basketball System also features a Quick Adjust II system, which allows you to adjust the height of the hoop from 8 feet to 10 feet with the simple act of a yardstick or broomstick. 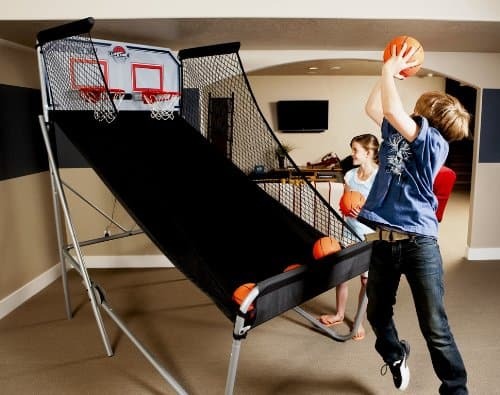 With the Quick Adjust feature, your hoop can grow with your young ball player, or meet the need of players of various heights and ages. 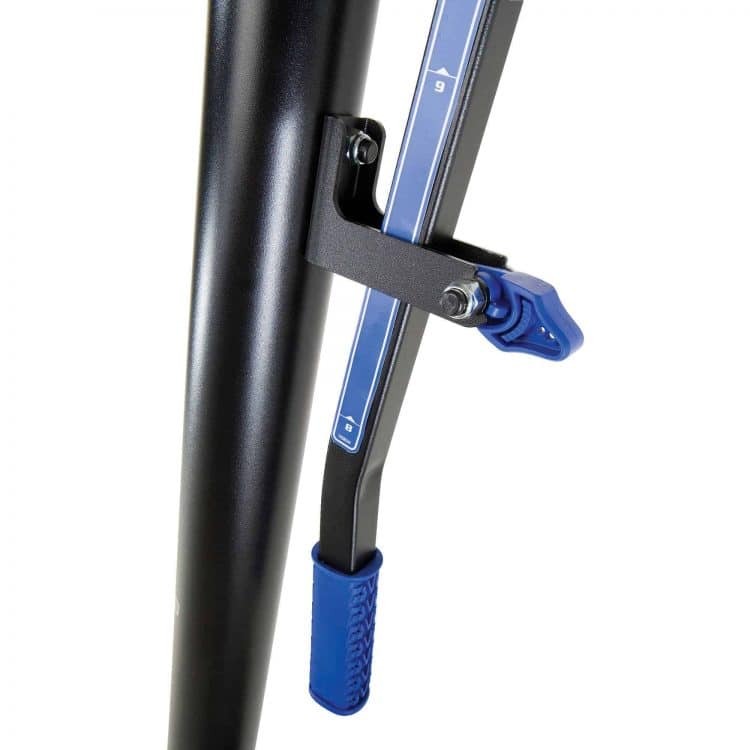 The 3 inch round pole attached to the Quick Adjust is made of powder-coated steel for strength and durability. 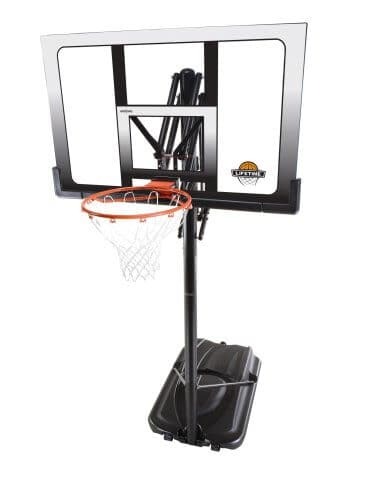 When it comes to assembly, reviewers have found it easy to assemble, as well as move around, so if you’re looking for a basketball hoop that can get you up and playing in little to no time at all, this Lifetime product is a great idea. 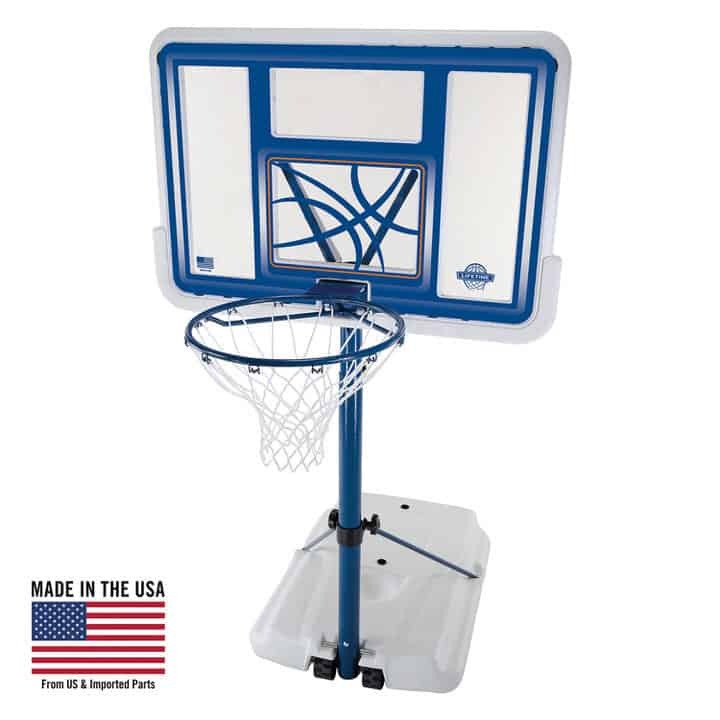 The Lifetime 1533 is a great option for beginners, kids, and those looking to not spend a boatload of money on a portable basketball system. 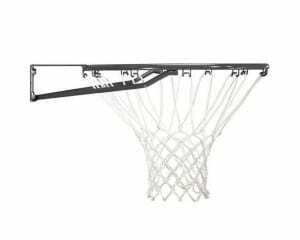 Although it has a lower price point, it still is a quality product that we here at Best Basketball Hoops were happy and confident to review. Let your game improve without emptying your pockets! 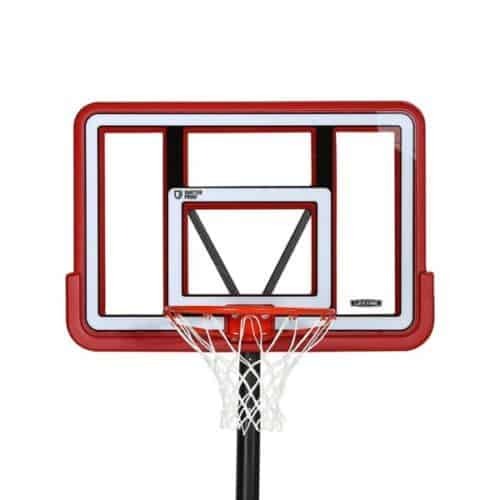 Of all the basketball hoop manufacturers out there, Lifetime is the brand of basketball hoops for which we have done the most reviews. They are continually working to improve their products and come out with new models often that balance quality and affordability. 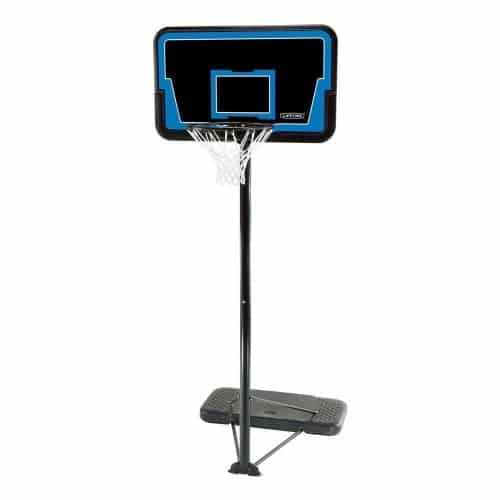 The Lifetime 71286 In-Ground Basketball System continues the traditions of Lifetime Basketball. 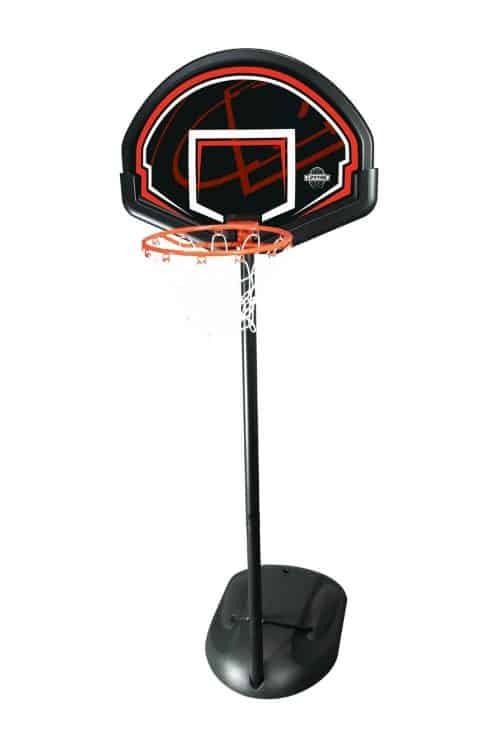 If you want some other comparable options to the Lifetime 71286 hoop then be sure to take a look at the Lifetime 71525 Portable Basketball Hoop and the Spalding Pro Slam Basketball System, which are both priced comparably and have many of the same characteristics as the 71286. As we do with each hoop we review let’s dig a bit deeper to uncover some of the features that are unique to the Lifetime 71286. The backboard on this hoop is 52 inches and is made of a polycarbonate material. This is a very durable backboard, but struggles to replicate the backboard performance of higher price boards that are made of acrylic or tempered glass. The rim includes two springs that help to support the basketball system during dunks. It is made of steel with welded on net hooks. 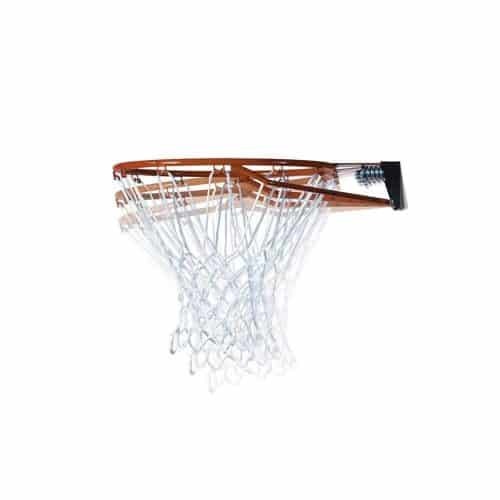 The all-weather nylon net is nice and with give that “swoosh” sound when your shot is on the mark. 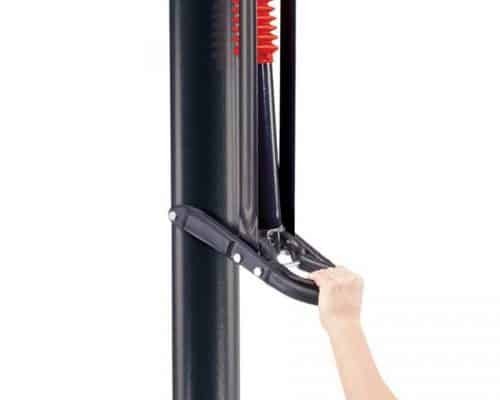 We really like the Square Power Lift pole that allows for the Lifetime 71286 basketball hoop’s height adjustments. This system allows for the hoop’s height to be adjusted from 7.5 feet to 10 feet in infinite increments. If you have young children who will grow up with this system then having this feature will be crucial for them to develop good shooting form habits. 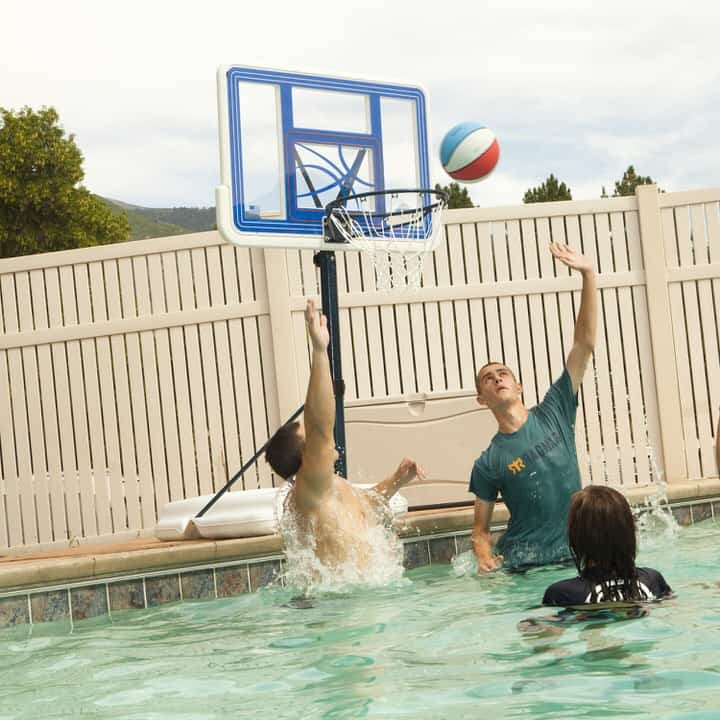 The 71286 XL Lifetime Basketball System includes a polyethylene base that can be filled with either water or sand to keep the hoop sturdy and avoid tipping. 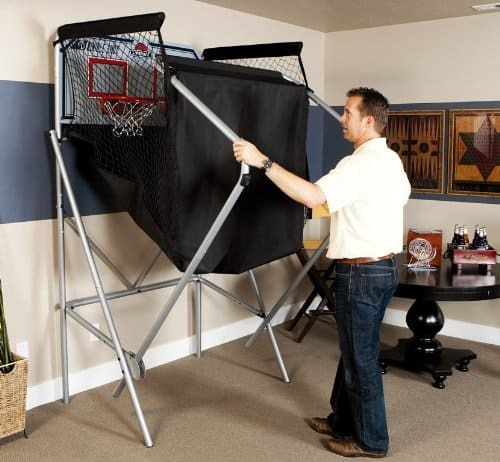 Having a portable basketball system is good for anyone who may move semi-frequently or wants to be able to move the hoop indoors for storage in the winter. 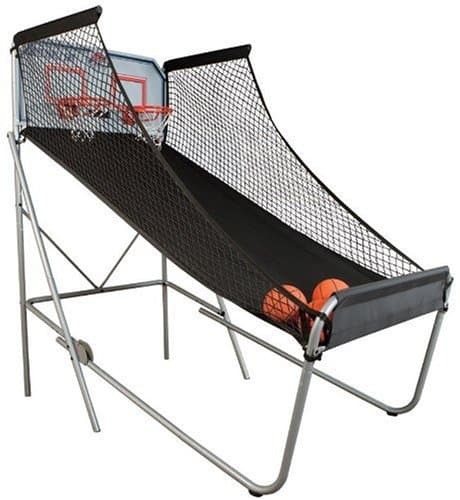 The only downside of this is that portable basketball hoops tend to be less sturdy than in ground hoops and may tip over when hanging on the rim, which we do not recommend for any portable hoop. 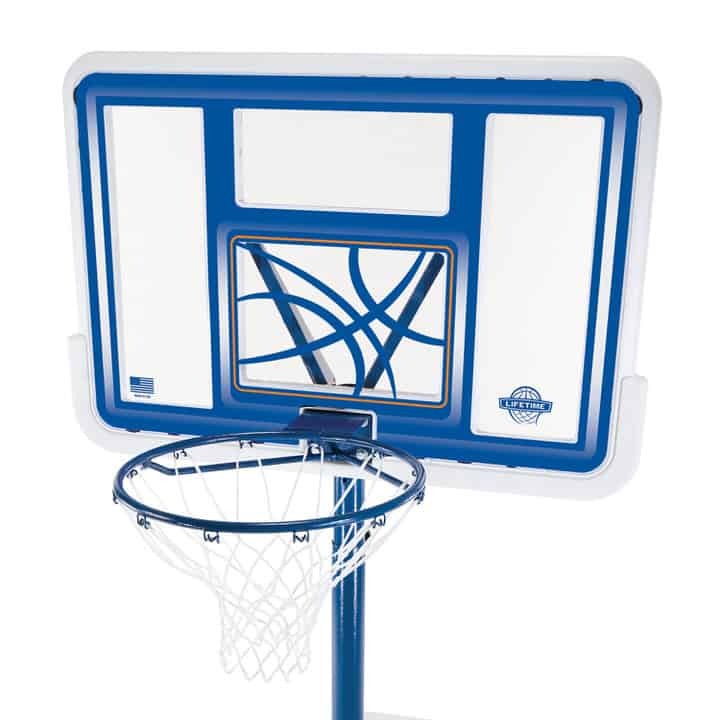 To summarize our review of the Lifetime 71286 Basketball System, it is a great choice for those with growing children who will be able to grow up playing on a good basketball hoop. 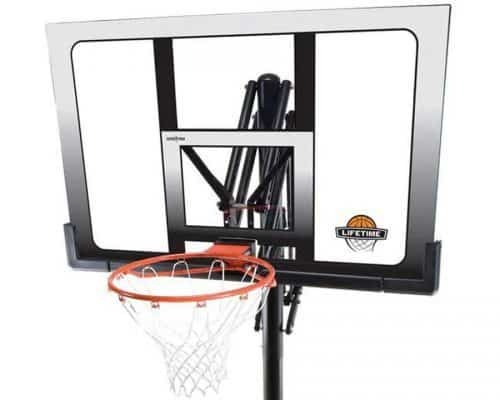 If you are more interested in a higher quality hoop with greater features be sure to see our reviews of the Spalding 60 Inch Portable Basketball System or the Lifetime 71522 Basketball System, which are a step above in quality and price.